How the winter affects your vehicle may be surprising to you. How the winter affects your vehicle may be surprising. The winter is hard on everyone, even vehicles. You will want to make sure you inspect your car on a regular basis to ensure everything is working efficiently. 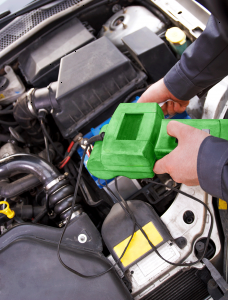 The first think you will want to do is check the battery, because it can die in the cold weather. You should also test it, because this will prevent going out to your car and finding a dead battery. Keep vehicles covered in the winter. However, if you don’t have access to a garage, it’s important to check the battery on a regular basis. A battery is affected by the extreme cold weather and conditions. The winter affects the fluids of the vehicle. The fluids will also become thicker when the temperatures drop. Check all your fluids. The brake fluid and other fluids will want to be topped off, and ensure of no leaks. If there is a leak in the system, we can repair it quickly for you to help you get back on the road. Also remember oil changes are needed, no matter what time of the year it is. The cooler temperatures will also affect the tires on the vehicle. If the tires are constantly going low, it can be a sign of a leak in the tires. When there is an issue that you notice, bring the vehicle in and we can inspect the tires for you to help prevent further damage. Remember to check the windshield wipers and wiper fluid in your vehicle. Make sure to clean the windshield of your car before turning on your wipers. The wipers will always need to be inspected, especially before a long road trip. If you start to notice that the windshield wipers are wearing, they should be replaced as soon as possible. This can help improve your visibility when you drive as well.